The Lord of the Rings Sting Sword Scabbard | BUDK.com - Knives & Swords At The Lowest Prices! 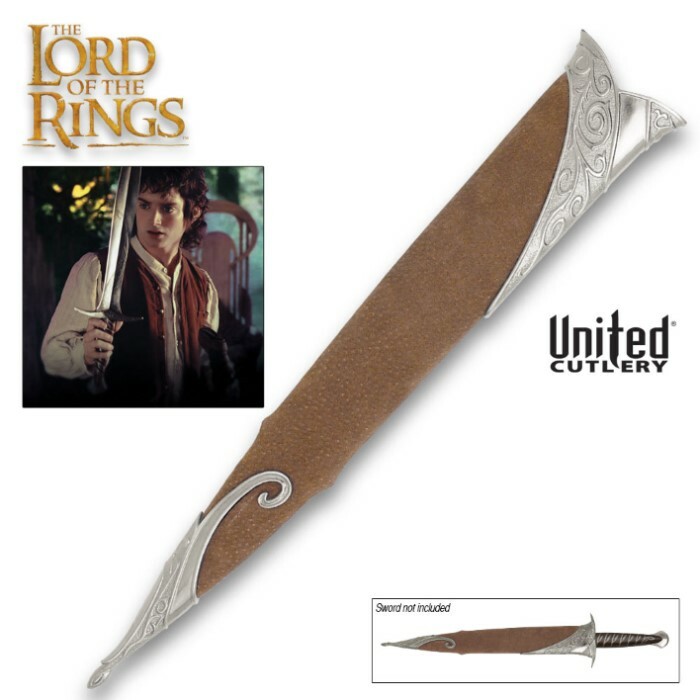 Officially licensed and authentically detailed reproduction of the actual prop scabbard for Frodo's sword Sting featured in the Lord of the Rings trilogy. Offers solid metal collar and tip, antiqued metal finish, and Elven vine design with genuine leather wrap. United Cutlery, UC1300.